Item Number: 266-7-803 17925 Actual Weight: 0.1 lb. 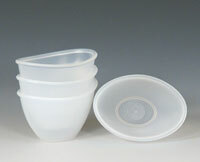 Use oval eye cups with eyewash or water to clean eyes. Pour eyewash into cup and tilt cup over the injured eye to make eye washing easier.